This was a pretty big week for the U.S. Census Bureau. As part of the annual American Community Survey, it released a wealth of new stats on income, poverty and health insurance in the country, along with table after table of information related to them. Some good news? Incomes grew about 4% to roughly $95,300 for an average family, and the number of people in poverty dropped from 46.1 million in 2015 to 44.3 million last year — although that number is still woefully unacceptable in one of the richest countries in the world. But not many people are talking about one record-breaking number that particularly struck us here at The Penny Hoarder: a record number of Americans reported working from home. To be specific, 5% of all workers over the age of 16 said they worked from home in the commute section of the survey, bringing the total number of Americans choosing this job situation to more than 7.5 million. In 2005, when the Census Bureau launched the American Community Survey, that number sat just under 4.8 million, or about 3.6% of all workers. And a 2016 study by the U.S. Bureau of Labor Statistics found that nearly a quarter of workers did at least some of their work from the comfort of their own home. Throw your hands in the air, because it finally seems like employers are realizing the perks of a remote work option. Why Are Work-From-Home Jobs On the Rise? More flexible jobs are out there than have been in the past, according to this recent analysis by FlexJobs. In 2015, 40% more companies offered telecommuting benefits than in 2015, although the total number of business offering those perks is still a measly 7%. That could be related to increased productivity and billions of dollars in savings that work-from-home options can provide for firms. It could also be Americans are less willing to move around the country for work. Depressing. 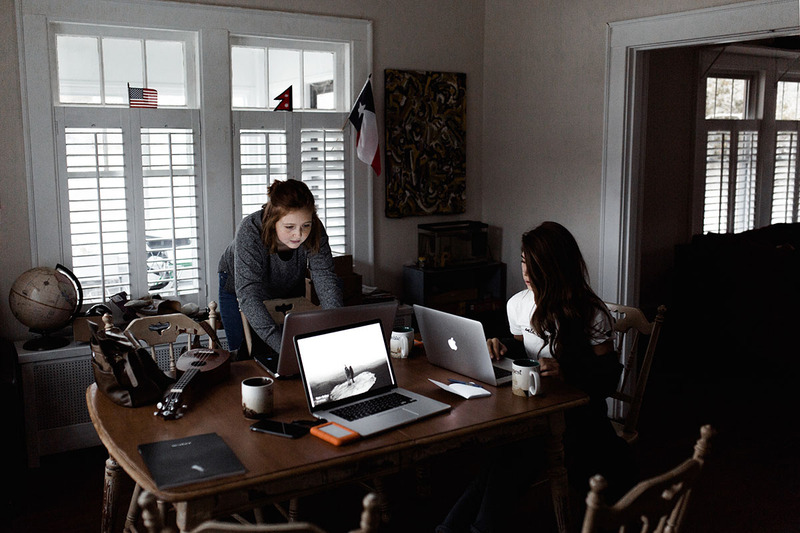 But regardless of the reasons for the growing number of Americans working remotely, there are plenty of perks for you, personally, in working from home. Working from home isn’t all lounging in pajamas, but it really is the best ever. Seriously. In the latest American Community Survey data, 9.1% of workers said they spend at least an hour on the road to work, which likely means an hour on the way back, as well. You don’t have to lose two hours of your day in commute, like those 13.7 million Americans did last year, if you don’t have to leave the house. And don’t ever fret about your office co-workers stealing your lunch — unless you have a particularly ravenous pet (or child) that has figured out how to open the fridge. So… when can you start? Now that you’re sold on working from home, here are resources to get you started in your job search. The Penny Hoarder Jobs page on Facebook is always on the lookout for work-from home opportunities. Ditto for The Penny Hoarder Jobs Newsletter. And of course, our website. Looky here, a sweet work-from-home gig. Now, get out there (metaphorically speaking, of course) and snag your dream job!